Utilities can be a significant burden on families that may be struggling with rent, food, daycare, medical bills and so much more. The Council for Economic Opportunities in Greater Cleveland (CEOGC) administers three programs to assist low income families with their utilities each year. 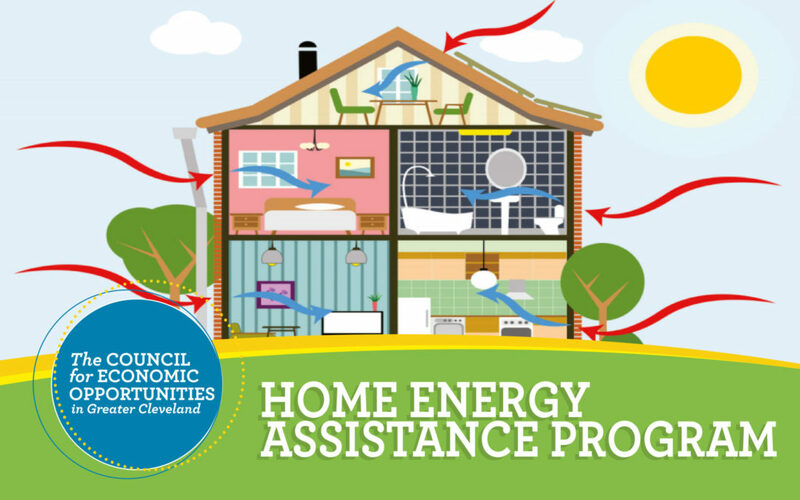 The Home Energy Assistance Program (HEAP) includes the Summer Cooling Program (July 1 – August 31, 2017), Percentage of Income Payment Plan (PIPP Plus), and Winter Crisis Program (November 1 through the end of March). Summer Cooling Program operates during July and August, two of the hottest months of the year in Ohio, especially for senior citizens or those with serious medical conditions. Starting July 1 until August 31, 2016, the Council will help income-eligible Cuyahoga County residents with payment of an electric bill to help ease the burden caused by summer heat. PIPP Plus helps eligible households maintain gas and electric services throughout the year by paying the utility company a percentage of their household income. The program makes energy bills affordable year-round and if the monthly payments are made on-time and in-full, overages and the rest of the month’s bills are forgiven. Winter Crisis Program helps income eligible Greater Cleveland residents that are threatened with disconnection, have been disconnected or have less than a 25 percent supply of bulk fuel in their tank maintain their utility service. This is a one-time benefit, and is to be used in emergency situations, when you are faced with disconnection. CEOGC, in partnership with First Energy, also offers another solution to assist with utility bill payments for the customers of the Cleveland Electric Illuminating Company, Ohio Edison, and Toledo Edison. The Fuel Fund program provides up to a $300 maximum annual benefit to households for home utility bill assistance. In order to be eligible, a household cannot have participated in the program within the past year and must have paid their electric bill at least once in the prior three months. The Fuel Fund program serves residents in Cuyahoga, Ashtabula, Lake, Lorain and Geauga counties. If you would like to learn more about these programs, including eligibility information, please click here. You may also call (216) 518-4014 to make an appointment.